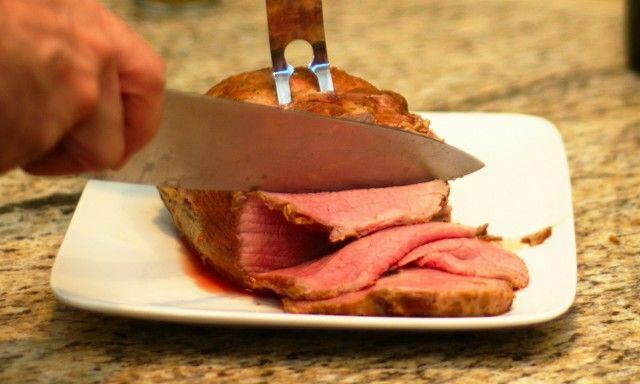 The eye round is not the best cut of beef from the hind leg, but if cooked properly it can make a good meal and even better sandwich meat. Better to use a top round if you want a more tender roast, but I'll leave that for another recipe. In this recipe we add some incredible flavor to this roast by encrusting it with Dijon mustard. 1First mix the mustard mix in a bowl large enough to hold the roast, adding all the ingredients except the roast, and stirring thoroughly. If you want a thicker mustard crust, reserve 1/4 cup of the mustard mix and set it aside. Add the roast to bowl with the mustard mix and let it rest for 1/2 hour as it comes up to room temperature and as you warm your grill up to high temp, about 450° F. We're gonna start off on high direct heat to get a good sear and crust on the outside. 2Once the roast has marinated, center it on the skewer and secure it well, adding some string if needed. Balance the skewer following your manufacturers instructions. I do all this work over the bowl used to marinate since things can get a bit drippy. Use a spoon to reapply some of the mustard mix to the roast and then put in on the grill and start the rotisserie. Cook it over the direct heat for 10 minutes or until you have a good brown crust on the roast. If you reserved some mustard mix, spoon it on the rotating roast about 3 minutes into the searing process. 3Once the roast is crusted, we want to slow the cooking process down in order to avoid making the roast tough and dry. Change the grill set up to indirect heat. I also add a shallow pan of water under the roast at this point to add more moisture and catch any drippings. Reduce the heat so the grill maintains about 250° F when the lid is closed. 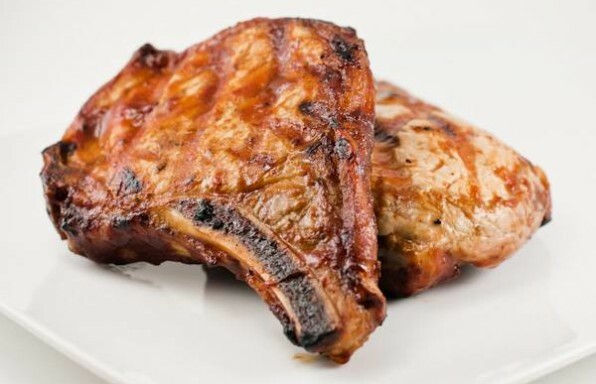 This can be difficult on some grills, and charcoal grills need to be monitored regularly. If you can't do this on your grill, you may not want to try cooking this piece of meat on your grill. 4Cook the roast at 250° F for about 1 hour (depends on the grill and the size of the roast) until the temp is about 135° F to 140° F. This is the sweet spot for this roast. If you cook it rarer, it will be harder to slice thin, which helps keep it tender for sandwiches. Cook it much more, and the roast will be tough. So when it gets close, watch it closely. If you have one of those fancy remote thermometers that works on a rotisserie, this is the time to use it. 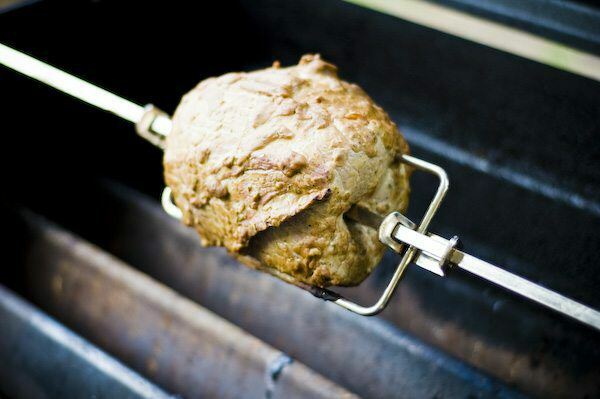 5Remove the meat from the rotisserie and cover loosely with foil for 15 minutes before you carve it. 6Serve it hot, or make sandwiches with leftovers. I love it with a bit of horseradish sauce on potato rolls. Not my favorite cut of meat. The flavor was good, but it was a bit tough. Maybe better sliced thin and put on sandwiches.